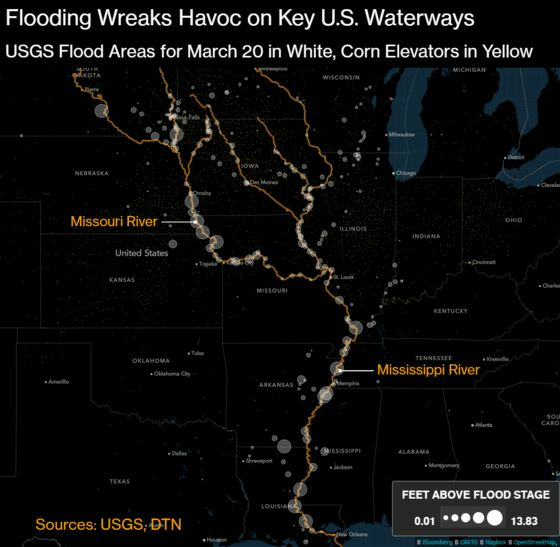 (Bloomberg) -- As the Midwest recovers from record flooding, cities and towns along the Red River in Minnesota, North Dakota and Canada are preparing for a deluge of their own as the heavy snows of winter start to melt. Fargo, North Dakota, has declared an emergency and ordered up 1 million sandbags, calling on residents to volunteer to fill the sacks that will be used to make temporary walls to hold back the river. In Canada, Manitoba has been predicting the Red would flood for weeks. Wheat prices jumped amid threats to grain shipments. The Red River forms the border between North Dakota and Minnesota and flows north into Manitoba passing through downtown Winnipeg. Its banks are flanked by farm fields. North Dakota is the second-largest American wheat grower, trailing Kansas, according to the U.S. Department of Agriculture. The river in Fargo reached a record 10.8 feet (3.3 meters) above major flood stage in March 2009 and saw heavy flooding again in 2010. This week, flooding has already snarled rail traffic in much of the Plains, slowing or halting shipments of grain. 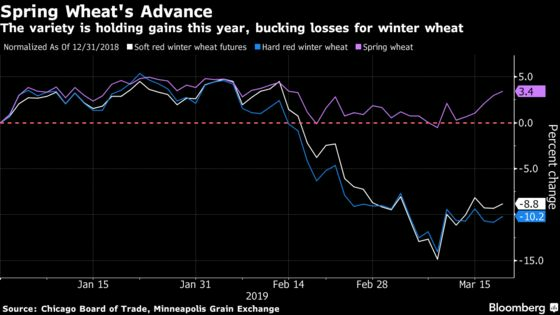 Buyers of spring wheat were paying lofty premiums for supplies in the cash market, which pushed up futures, said Adam Knosalla, a broker at Frontier Futures in Minneapolis. The impact on wheat planting will depend on when the flood occurs, said Andy Karst, a meteorologist at World Weather in Overland Park, Kansas. An early flood would cause the destruction of a lot of property, but would give fields a chance to dry out, he said. But if the spring starts cold and melt is delayed, then rising waters could crowd farmer’s planting schedules. 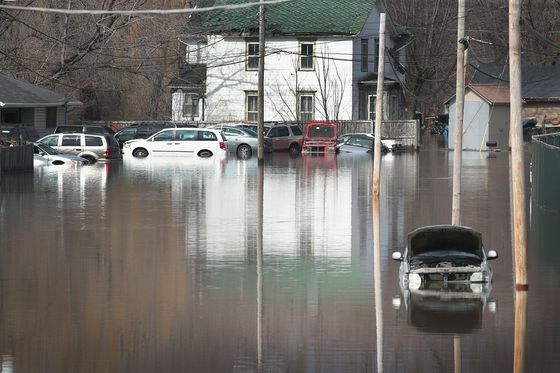 Loveland, of the river forecast center, said the flooding severity will depend on how fast that snow melts and how saturated or frozen the soils under it are. The worst thing that could happen is for temperatures to warm as heavy showers come in. Little rain is in the forecast for the next seven days, he said. Elsewhere, high water on the Missouri River has caused record flooding across Nebraska and the Mississippi River has been spilling its banks for weeks. The same fear of a rapid snowmelt along with heavy rain apply there.